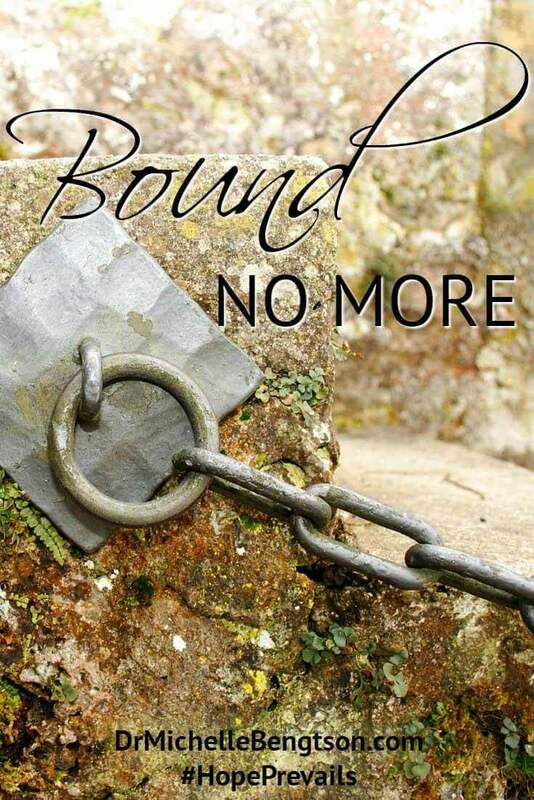 In my professional practice, I see so many individuals who are bound by the chains of hurt of past offenses that has turned to bitterness, resentment and unforgiveness. The wounds have dug deep and infected their heart. And many have deep-seated hurts over things they themselves have done and find it difficult to forgive themselves. What I have found, however, is that the enemy of our soul uses a seed of bitterness and unforgiveness to grow a root of physical and emotional illness. Yet, when we will release another’s actions to the Lord to deal with, and forgive them or perhaps even forgive ourselves, we close the door on the enemy’s right to impact our life. I address this even more in my soon to be released book, “Hope Prevails: Insights From a Doctor’s Personal Journey Through Depression” (Baker/Revell Publishers August 2016). Hey friends! My name is Bonnie Wallace and I am a Bible Study author and encourager of women who are entering the next season of life. 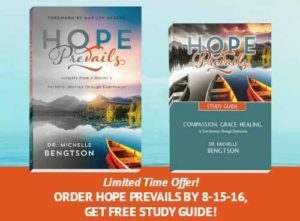 I am so excited to tell you about my friend, Dr. Michelle Bengtson’s book, “Hope Prevails,” that will release in August of 2016. Michelle reveals and shares honestly her reality and struggle with dark depression. But, I want to tell you that even if you are somebody who is not in that depression pit, you will learn and gain value from this book. In the book, Michelle exposes the enemy’s lies that he tells us that are designed to kill, steal and destroy the light that is in us and the light that draws others to us. One chapter in particular, chapter 5, really spoke to my heart. In that chapter, Michelle talks about defeating the enemy through repentance and forgiveness. Repentance in the Biblical term means to turn away from evil and turn toward good. When I turn away from evil, and I turn toward God internally and I ask for Him to forgive me, I release the enemy’s hold on me. I become free from the lies that he’s told me. There are days when I feel low as a wife and mother and ministry leader and, unfortunately, I am tempted to believe the lies that i am not seen. And, that my work makes no difference. But when I turn from that evil and I turn toward God, God exposes the lies for what they are and He frees me from that snare. But, not only am I to repent internally and ask God for forgiveness, I am also to repent externally and ask others for forgiveness. And when I do both I become free internally and externally. I pray that if you have days where you feel low and you need to know the truth of what Satan’s tactic is that you will read “Hope Prevails” and I know that you would be so incredibly blessed. “Hope Prevails” is available for pre-order now. To find out more, see: https://drmichellebengtson.com/hope-prevails-book/. A special offer is available for a Limited Time Only. If you Pre-Order “Hope Prevails” by 8-15-16, you’ll get a Free Study Guide with your order. This Study Guide contains questions that go more in depth and help you pinpoint where you are and how to get where you want to go and find help, hope, and healing. 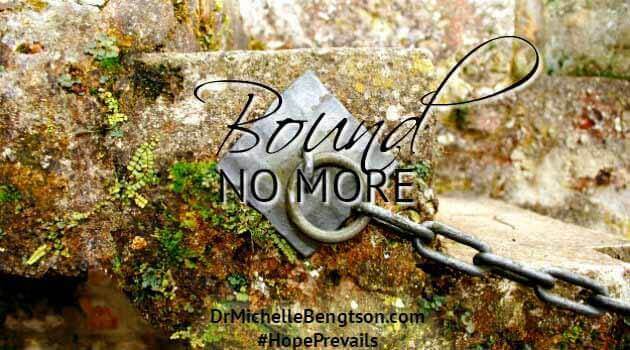 For more information on this Free Offer, see: https://drmichellebengtson.com/hope-prevails-book/. Thank you for your sharing your heart Bonnie. This book is changing lives. 🙂 Dr. Michelle Bengtson has a message to share and we need to tell others about this message. Wow! What an encouraging and eye-opening piece. Thank you Bonnie for such inspiring words and for Dr. Bengston for such a helpful book. It sounds like a real life changer. So glad you were able to share this on #shinebloghop this week! Thank you for sharing your heart Bonnie! And thank you Michelle, for this book. As you already know, I have never really struggled with depression or anxiety personally, but have several loved ones who have. In reading this book, and taking advantage of the free resources on the website, I am learning so much about what they truly go through. I am learning the signs to be looking for, and I am learning how to love them through it all, and to show them that because of Him, Hope Prevails! Beautiful truth, Michelle! Looking forward to your new book — so needed! Thank you for sharing your heart to help others. This is so good, Bonnie! I’m so thankful I am reading the book. It’s been such a blessing to me. Thank you for your encouragement also! This sounds like a wonderful resource. My husband is bipolar and has suffered with severe clinical depression. A book like this would mean a lot to someone like him. Such a needed resource. I found myself struggling with forgiveness for a long, long time, but as you said, that struggle resulted in deep depression and an even worse condition. Praise God for the healing power of His Word! May your book reach many for Christ, Michelle! Thanks for sharing with us on TuesdayTalk!